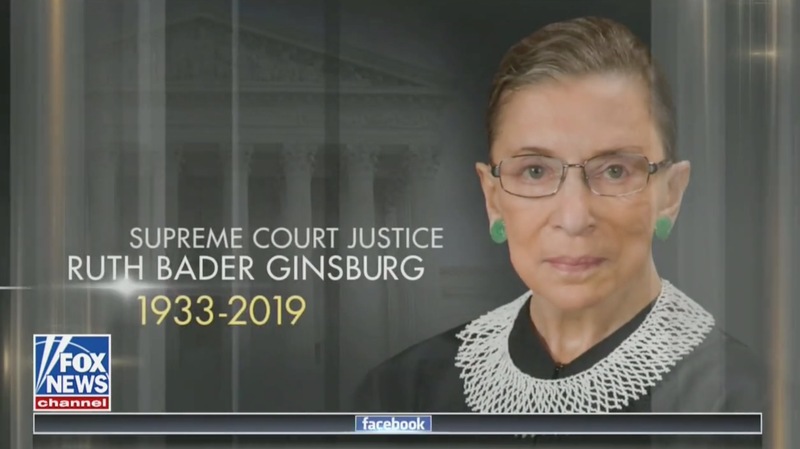 Fox & Friends showed a slide memorializing Supreme Court Justice Ruth Bader Ginsburg on Monday morning, Mediaite reports. Ginsburg, 85, is alive and has been recovering from a recent surgery to remove two cancerous nodules from her lung. She has been working from home since the nodules were removed in December, and according to her doctors, there is no evidence of any remaining cancer in her body. A graphic displaying a photo of Ginsburg, as well as the caption “1933-2019” appeared after a commercial break and faded into a segment about the lack of diversity of thought on college campuses. Hosts Steve Doocy, Ainsley Earheardt, and Brian Kilmeade later apologized for the error, according to Mediaite. “We don’t want to make it seem anything other than that was a mistake. That was an accident. We believe she is still at home, recovering from surgery” Doocy said, explaining that Ginsburg was still alive and the graphic was merely a control room error. “We apologize, big mistake,” said host Ainsley Earhardt. Ginsburg missed oral arguments earlier this month for the first time in her 25-year tenure on the Supreme Court. And although her prognosis is good, conspiracy theorists set to work pushing rumors about Ginsburg’s health, suggesting that she was either already dead or incapacitated, which was being covered up by the mainstream media to avoid ceding another Supreme Court seat to Trump.